A photo provided by U.S. Customs and Border Protection shows the interior of a CBP facility in McAllen, Texas, on Sunday. Immigration officials have separated thousands of families who crossed the border illegally. Reporters taken on a tour of the facility were not allowed by agents to interview any of the detainees or take photos, the AP reported. A photo provided by U.S. Customs and Border Protection shows people detained at a facility in McAllen, Texas, on Sunday. Detained migrant children play soccer at a newly constructed tent encampment as seen through a border fence near the U.S. Customs and Border Protection port of entry in Tornillo, Texas, on Monday. Did the Trump administration have a policy of separating families at the border? In April, U.S. Attorney General Jeff Sessions ordered prosecutors along the border to "adopt immediately a zero-tolerance policy" for illegal border crossings. That included prosecuting parents traveling with their children as well as people who subsequently attempted to request asylum. White House officials have repeatedly acknowledged that under that policy, they separate all families who cross the border. Sessions has described it as deterrence. U.S. Customs and Border Protection explains on its site and in a flyer that border-crossing families will be separated. The policy was unique to the Trump administration. Previous administrations did not, as a general principle, separate all families crossing the U.S. border illegally. What policy did Trump enact on Wednesday? On Wednesday, Trump ended the policy of family separation and replaced it with a policy of family detention. He signed an executive order that kept the zero-tolerance policy in place — but added, "It is also the policy of this Administration to maintain family unity, including by detaining alien families together where appropriate and consistent with law and available resources." It did provide an exception for when authorities believe keeping the family together would be harmful for the child. In signing the order, Trump noted "there may be some litigation" — that is, a legal challenge to the new policy. A 2015 court order, based on a document called the Flores settlement, prevents the government from keeping migrant children in detention for more than 20 days. Trump has instructed Attorney General Jeff Sessions to ask the federal court to modify that agreement in order to allow children, and by extension, unified families, to be kept in detention without time limit. The request asks, specifically, for permission from the courts "to detain alien families together throughout the pendency of criminal proceedings for improper entry or any removal or other immigration proceedings." Trump also calls for branches of his administration to make facilities available for detaining families with children — and calls on the Defense Department, to build new facilities "if necessary." The Obama administration practiced family detention, until the court order prohibited it. 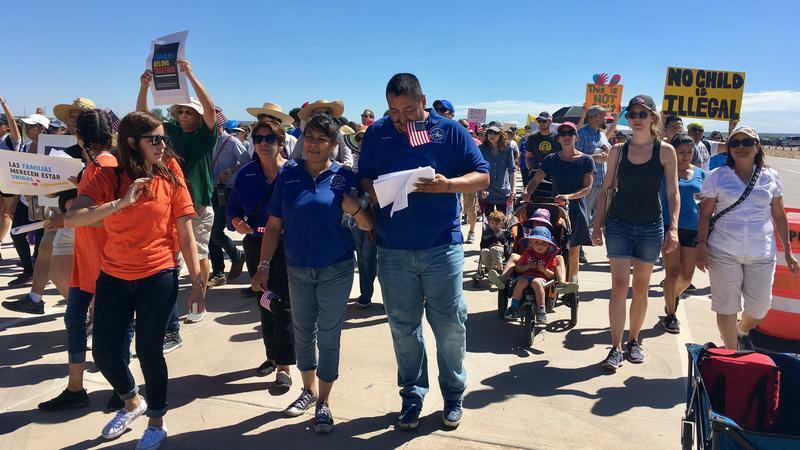 Many of the same groups that have vocally denounced family separation are also opposed to family detention, and had urged supervised release instead. Children currently remain separated from their parents. In signing the order, Trump said it would keep families together "in the immediate days forward." It is not clear when or how currently separated families will be reunited. What happens when families are separated? The process begins at a Customs and Border Protection detention facility. But many details about what happens next — how children are taken from their parents and by whom — were unclear. According to the Texas Civil Rights Project, which has been able to speak with detained adults, multiple parents reported that they were separated from their children and not given any information about where their children would go. The organization also says that in some cases, the children were taken away under the pretense that they would be getting a bath. The Los Angeles Times spoke to unnamed Homeland Security officials who said parents were given information about the family separation process and that "accusations of surreptitious efforts to separate are completely false." From the point of separation forward, the policy for treating the separated children appears to be the same as existing systems for detaining and housing unaccompanied immigrant children — designed for minors who cross the border alone. Those unaccompanied minors were generally older than the children affected by family separation. Where have children gone once they've been separated? Customs and Border Protection facilities. 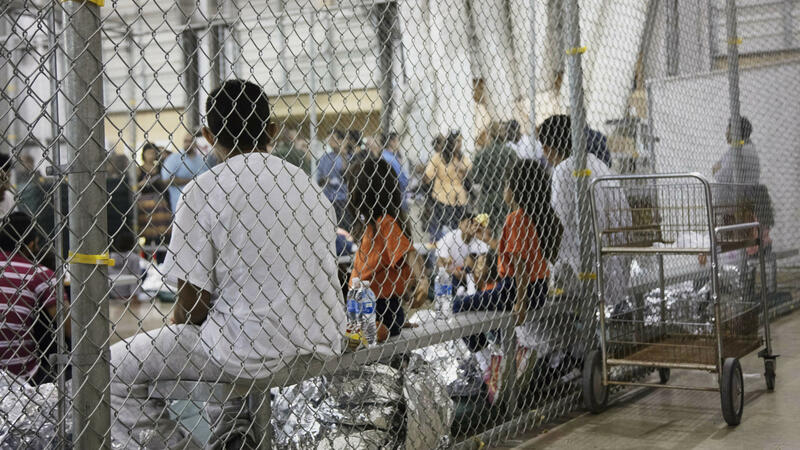 If you've seen photos of children in what look like chain-link cages — whether unaccompanied minors in 2014 or separated children in 2018 — they are probably photos from a Customs and Border Protection facility. Children usually are held here initially, but it is illegal to keep them for more than three days — these holding cells are not meant for long-term detention. "Inside an old warehouse in South Texas, hundreds of children wait in a series of cages created by metal fencing. One cage had 20 children inside. Scattered about are bottles of water, bags of chips and large foil sheets intended to serve as blankets." Such facilities have been criticized before for poor conditions and reports of abuse and inhumane treatment, including a number of allegations the CBP strongly denies. Child immigrant shelters. Within three days, children are supposed to be transferred from immigration detention to the Office of Refugee Resettlement, which is part of the Department of Health and Human Services. For 15 years, ORR has handled the "care and placement" of unaccompanied migrant children. Until recently, that usually meant minors who crossed into the U.S. alone. Now it also includes children who have been separated from their families by authorities, including much younger children. On a call with reporters on Tuesday, a Border Patrol official said that it's a matter of "discretion" how young is too young for a child to be separated from their parents. In general, he said, the age of 5 has been used as a benchmark, with children younger than that called "tender-aged." The CEO of Southwest Key, which operates 26 ORR shelters, tells NPR the children at his facilities range from ages "zero to 17." On the same call, an HHS official said that some of the ORR shelters are specifically equipped to take care of children younger than 13. He provided few details and could not say how many children under 13, under 5 or under 2 are currently being held by HHS. Now The Associated Press reports that it has located three centers in Texas that "have been rapidly repurposed to serve needs of children including some under 5," with a fourth center scheduled to open in Houston. Infants are among the detained children, the AP reports. ORR has a network of about 100 shelter facilities, all operated by nonprofit groups, where children are detained. NPR's John Burnett recently joined other reporters to visit one such facility, a converted Walmart Supercenter housing nearly 1,500 boys ages 10 to 17. 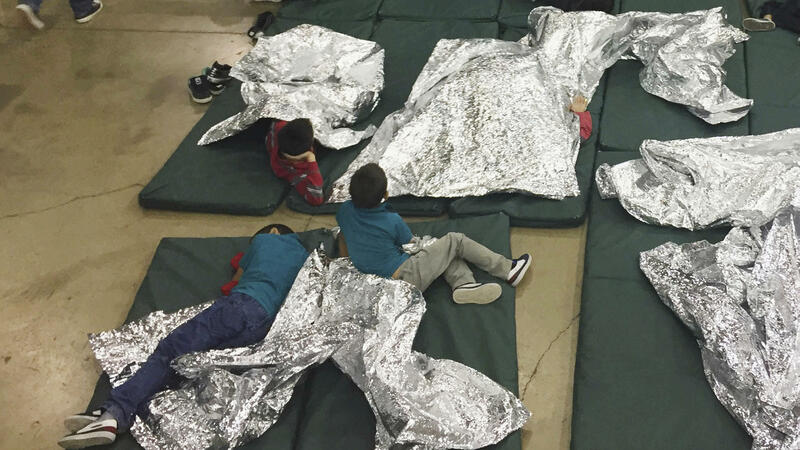 Journalists' access to that facility in Brownsville, Texas, was limited, but the site was markedly different from CBP facilities seen in photos released by the government — the teenage boys slept on beds instead of mats on the floor, in rooms instead of cages, and had access to classes and games. ORR says children remain at these shelters for "fewer than 57 days on average." However some children have been kept detained for months longer than that, and some advocates say certain facilities improperly administer psychotropic medications. Observers have raised concerns about the psychological toll on young children who enter this shelter system. NPR's Joel Rose talked to one former shelter employee who said he quit after he was instructed to prevent siblings from hugging each other. The organization that runs the shelter said it allows touching and hugging in certain circumstances. More than 10,000 migrant children, including children who crossed the border alone, are kept in ORR facilities. And existing facilities are filling up — the shelter Burnett visited was 95 percent full. Tent camps. A temporary facility has been set up in Tornillo, Texas, near El Paso. Little is known about the facility, and reporters have not been allowed inside, but KQED's John Sepulvado has seen the tent camp from outside. "It's a heavy-duty-grade white tent in the middle of a desert," he told NPR's Here & Now. "It's behind two chain-link fences and there's a dirt easement that's on top of it, so you can't actually see into it from the American side." The tent camp popped up rapidly, with the first large white tent appearing essentially overnight. Within days, a complex of smaller tan tents surrounded it; photos released by HHS show bunk beds packed tightly into the tents. It's not clear how many teenagers are inside, Sepulvado says, but the government was planning to expand it to hold some 4,000 detained minors. 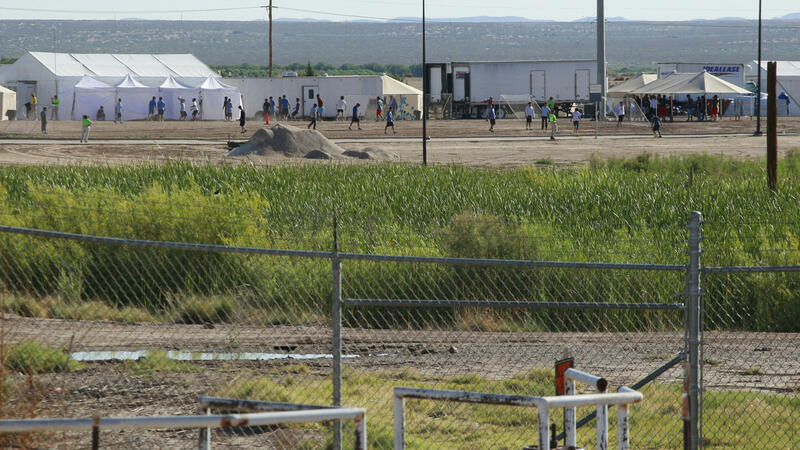 This is not the first time the U.S. government has used temporary shelters for minors: During the surge of unaccompanied minors crossing the border in 2014, HHS set up several temporary facilities at military bases. Sponsors or family members. Ultimately, ORR tries to find family members, foster parents or sponsors to take in children. Parents are the preferred option, but that has not a possibility for children who have been separated from parents who remain in detention. It is not clear if, under Trump's new policy, separated children might still be placed with sponsors or if they will all return to detention with their parents. There is no time limit on how long it can take to find a home for a child, but again, ORR says that on average the process takes less than two months. By law, those relatives or sponsors must, among other requirements, show that they can provide for the minor — sometimes verified with home visits — and ensure the minor's attendance at any future court hearing. The Trump administration has said that it intends to subject sponsors to increased scrutiny. 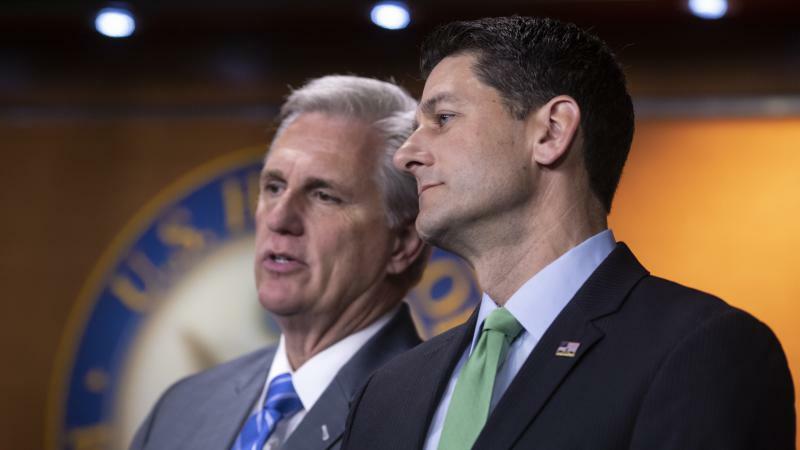 Under those new rules, the criminal background and immigration status of all sponsors, and any other adult living in the household, will be examined. Biometric data, such as fingerprints, also will be required. The checks will be performed by U.S. Immigration and Customs Enforcement and not by ORR. Critics say these new background checks will have a chilling effect. "Under the current circumstances and given the anti-immigrant rhetoric of the administration, it may be that few will be willing to come forward to claim children," said Bob Carey, who was director of ORR under the Obama administration. Can parents who are prosecuted be reunited with their children? Parents face a court hearing where, as Burnett has reported, they may face objections from prosecutors if their lawyers try to bring up their children in a bid for leniency. 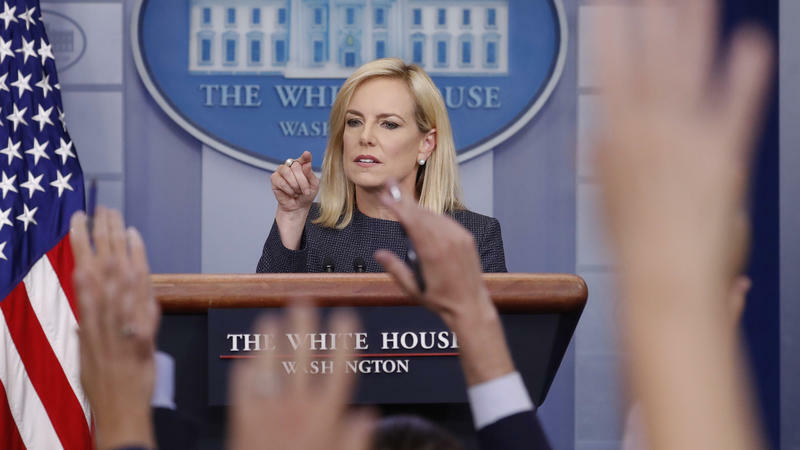 If parents are eventually released from detention, they will be able to take custody of their own children, Nielsen said at a news conference Monday. In a statement to NPR, ICE expanded on the process of family reunification. During a parent's detention, "ICE and ORR will work together to locate separated children, verify the parent/child relationship, and set up regular communication and removal coordination, if necessary," ICE says. A hotline has been set up to help parents and children find each other. "ICE will make every effort to reunite the child with the parent once the parent's immigration case has been adjudicated," a spokesman said. Parents being deported may request that their children leave with them or may decide to leave the children in the U.S. to pursue their own immigration claim, ICE says. For instance, they might suggest another family member in the U.S. to sponsor their child, as described above. However, The New Yorker spoke to lawyers and advocates who said there is no formal process or clear protocol for tracking parents and children within the system and that chaotic systems and inadequate record keeping make it difficult even to know which facility a child might be kept at. And The New York Times reports that some parents have been deported without their children, against their will. What is the law regarding the treatment of migrant children? A two-decade-old court settlement, the Flores settlement, and a law called the Trafficking Victims Protection Reauthorization Act both specify how the government must treat migrant children. They require that migrant children be placed in "the least restrictive environment" or sent to live with family members. They also limit how long families with children can be detained; courts have interpreted that limit as 20 days. Previous administrations have released families to meet these requirements. President Trump has said the law requires him to separate families, which is not true. His advisers have presented a more complicated argument for how the law requires family separation. "The laws prohibit us from detaining families while they go through prosecution," Nielsen said on Monday — a reference to the 20-day limits on how long children can be detained. Therefore, she says, "we cannot detain families together." She argues that that leaves the administration with the options of not enforcing the law, which it rejects, or separating families. But immigration advocates and legal experts say that there are other options, including those that previous administrations have chosen. Trump's new order has effectively requested a change to the existing law, to loosen restrictions on the detention of children. What was the policy under President Obama? The Obama administration established family detention centers that kept families together while their cases were processed. Trump's executive order appears to effectively revive this policy. The Obama-era centers were sharply criticized for keeping children detained even if they were still with their parents. A court ruled that those detention centers violated the Flores agreement and that families should be released together. The Obama White House also had a policy of releasing families through a program called Alternatives to Detention that still allowed them to be closely supervised — for instance, by giving mothers ankle monitors before releasing them. The ACLU welcomed the Alternatives to Detention program, but other immigrant-rights groups had reservations. As Burnett reported, one for-profit prison company that was making money off immigrant detention was also profiting off those ankle monitor systems. ICE tells NPR that the Alternatives to Detention program is still active under the Trump administration, but Trump has repeatedly said he opposes what he denounces as "catch and release." Can families request asylum, allowing them to stay together? Hypothetically, yes. In practice, maybe not. Families that request asylum at ports of entry are meant to be kept together while their claims are processed. But there is evidence that even families who seek asylum at ports of entry are being separated. One high-profile case involves a Congolese woman who sought asylum and still was separated from her 7-year-old daughter. In February, NPR's Burnett reported on the legal battle of Ms. L v. ICE. Hers is not an isolated case, according to immigrant advocates. "Lutheran Immigration and Refugee Service has documented 53 incidents of family separation in the last nine months, mostly Central Americans. Other immigrant support groups say there are many more cases," Burnett reported. Reporter Jean Guerrero of KPBS in San Diego reported on the case of a Salvadoran father, Jose Demar Fuentes, who says he sought asylum and was separated from his 1-year-old son, Mateo, despite having an original birth certificate proving that he is the boy's father. In a White House press briefing Monday, Nielsen said, "DHS is not separating families legitimately seeking asylum at ports of entry." But she said DHS "will only separate a family if we cannot determine there is a familial relationship, if child is at risk with the parent or legal guardian, or if the parent or legal guardian is referred for prosecution." Burnett also has reported that some families are not being allowed to request asylum — that they are being repeatedly turned away and told the CBP facility is too full to accept them. Nielsen has denied that some asylum-seekers who present themselves at a port of entry are being turned away, which would be a violation of international law. "We are saying we want to take care of you in the right way. Right now we do not have the resources at this particular moment in time. Come back," she said.